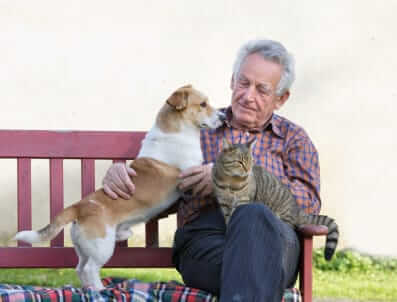 Dogs and Cats: The kinds of heart disease commonly found in cats and dogs can't be avoided through exercise. But, as with people, regular exercise will improve overall health and help prevent obesity in pets. This is such an important topic. I'm delighted that you wrote about it, Dr Jane! I just lost a beloved Japanese Chin from heart disease, She had fallen over 3 times at her eating bowl,(ALWAYS while eating) took her to vets, had teeth cleaned, complete blood profile done, all good results. so we figured she was choking on large dry food, hand fed her smaller food for 8 months, She stopped eating, labored breathing, took to vets,,xrayed heart it was enlarged, gave her lasix, heart med, vitamin thru a injection, BUT she died within a half hr of getting her home. Heartbroken, my vet said awhile back she had a heart murmur typical in small breeds but never mentioned xraying her heart as we all thought she was choking on large dry food pellets. Not sure if meds would have helped, xray showed her heart was quite large, but I sure wish I had known ahead of time and been prepared for her loss, this is the most hurtful loss of any pet that we have ever gone through, maybe because we were not prepared and also because she was such a loving little creature. She passed this March 2014 and we are still heartbroken over it. She was 10 yrs old and I have two others of this breed that are this age or close to it. The male has epilepsy and started coughing/gagging recently so maybe I should have his heart xrayed also as he has a heart murmur.My vet said that the degree of the heart murmur in the dog we lost did not indicate anything of a serious nature, her xray revealed a much more serious situation, but it was too late!! I feel guilty so that is part of dealing with this loss.